I hope everyone is enjoying their Christmas day. I don't know about you, but the storm has been at the front of my mind all day so lets get to it. Lets talk some weather! While watching Uncle Eddy hit the egg nog a little hard, I hope you were also keeping one eye on the weather. 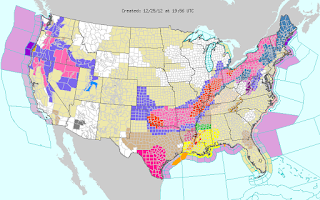 Winter Storm Watches have been updated to Blizzard Warnings, Winter Storm Warnings and Winter Weather Advisories across eleven states stretching from Texas to Ohio. 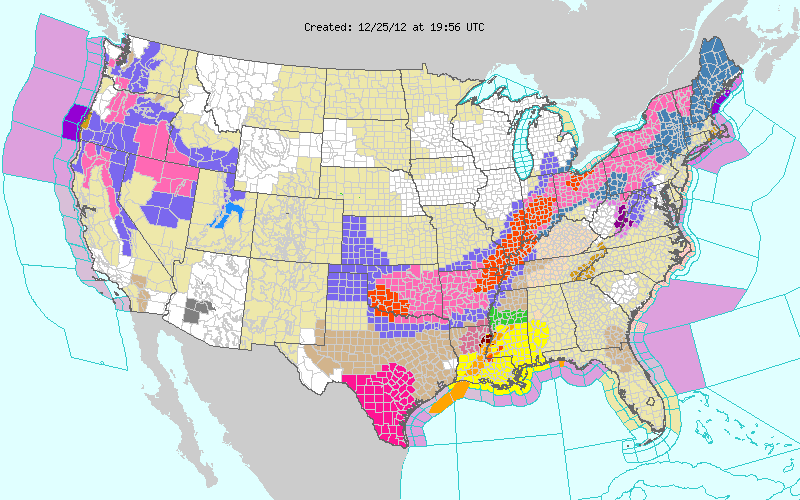 Travel is likely to be very treacherous starting later tonight and through Wednesday. If you have family in town that plans on leaving Wednesday, you should consider kicking them out this afternoon/evening. There really is no reason for people to be on the road tomorrow. Stay home. Stay warm inside or go out and play in the snow. Time for some numbers. 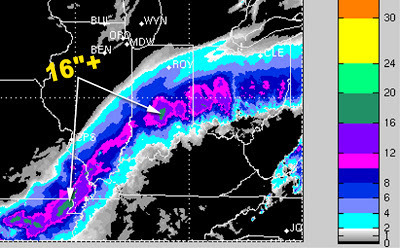 The new 18z run of the high-resolution RPM computer forecast model is coming in and it is going heavy on snow. 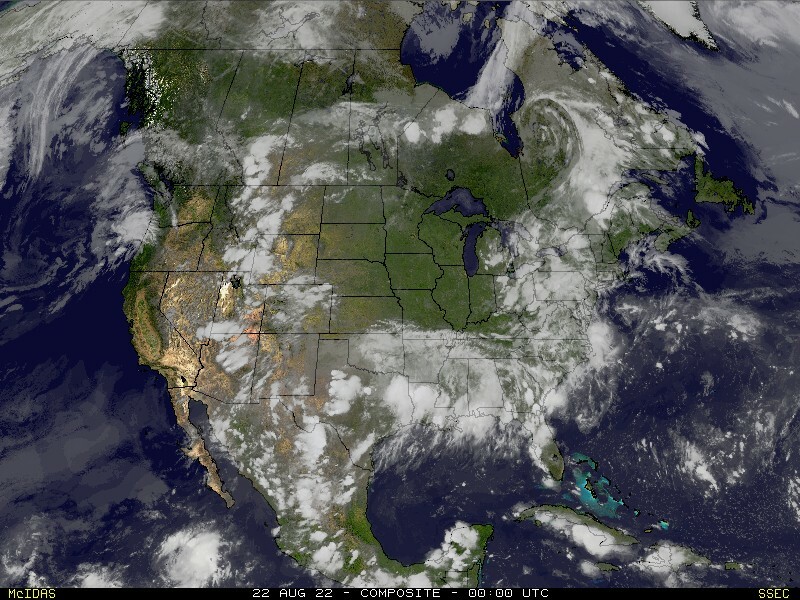 Here is a look at the 4km run of the model (ultra-high resolution). Yes, that is right. The model is suggesting there could be areas with 16" or more. The one thing I want you to notice how relatively narrow the band of heavy snow (6"+) is. Now, pick up the band and move it north or south by 60-70 miles. That is what can happen to snow totals if the storm tracks slightly north or south of the current projection. How about the other forecast models? Here is the latest snow matrix from this morning's 12z (6am CT) runs showed. Along with the specific models, I have also included a 4-model average. All along I've been saying someone somewhere from southeast Missouri to central/south central Indiana could see a foot or more of snow. I still feel that is going to be the case. With the snow, some places will also see a lot of rain to start. This will likely be the case in places like northwest Tennessee, western Kentucky and southern Indiana. Eventually, it should change over to snow. Places in southern Indiana, like Columbus, could also get a little freezing rain. This could make things a mess. At this moment, I don't anticipate major icing to be a problem. Also, if it takes longer to change the rain over to snow, it could cut down the snow totals. This won't be known until the event gets underway. Southeast Missouri: Moisture should begin to stream in to the Missouri bootheel from the south/southwest within the next couple hours. This may start out as rain before changing over to snow. It should make it as far north as Cape Girardeau before midnight. Southern Illinois: Moisture should arrive from the south/southwest around midnight and reaching Route 13 by 2am. Western Kentucky: Rain should begin to arrive from the south/southwest by 6pm with the leading edge reaching Paducah by 8pm. Southern Indiana: (Bloomington/Columbus and south): Moisture should begin to cross the Ohio River by 2am Wednesday. The leading edge of the moisture could be in the form of rain, freezing rain, or a rain/sleet mix. The moisture should reach Columbus by 5am. Central Indiana (Indianapolis): Moisture should begin to reach the Indianapolis metro area by 6am and reaching the north side by 7am/8am Wednesday. The timing is subject to change. Merry Christmas! Thanks for keeping us updated!